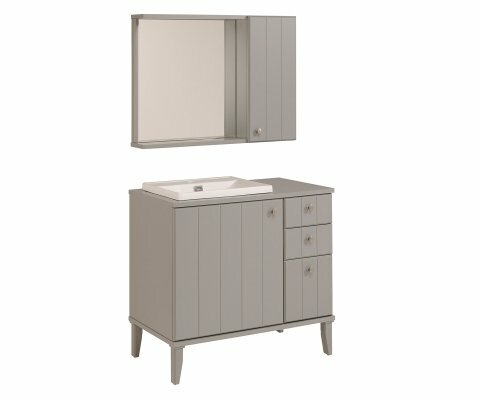 ECLECTIC DESIGN: Your favorite colors and home décor styles will fit in perfectly with the smoke-gray neutral color and simple lines of this cabinet set. DURABLE VENEER FINISH: Premium-quality veneer in smoke gray is easy to keep clean, resists scratches, stains, water ring damage, and yellowing from UV rays, providing long-lasting beautiful sheen! 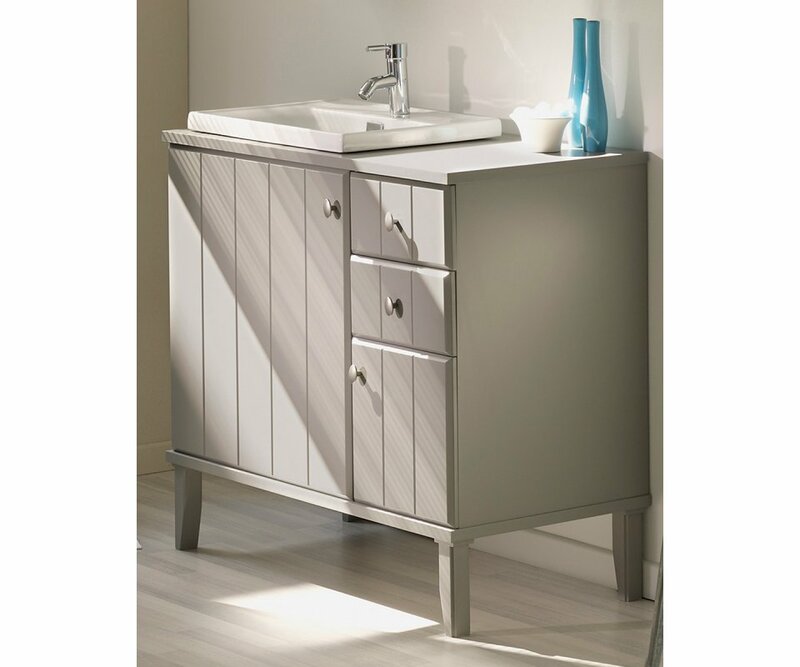 ROOMY STORAGE SPACE: Lots of cabinet space and drawers provide organized storage options for all your toiletries, cosmetics, and bathroom supplies to have a place of their own! 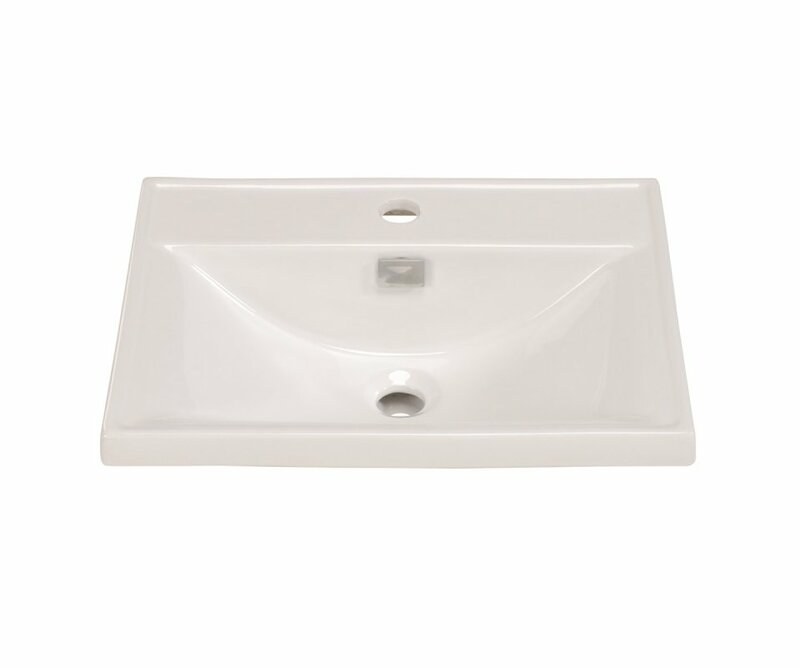 WHITE CERAMIC SINK: Farmhouse style white ceramic is on trend for today’s comfortable yet elegant home décor favorites. 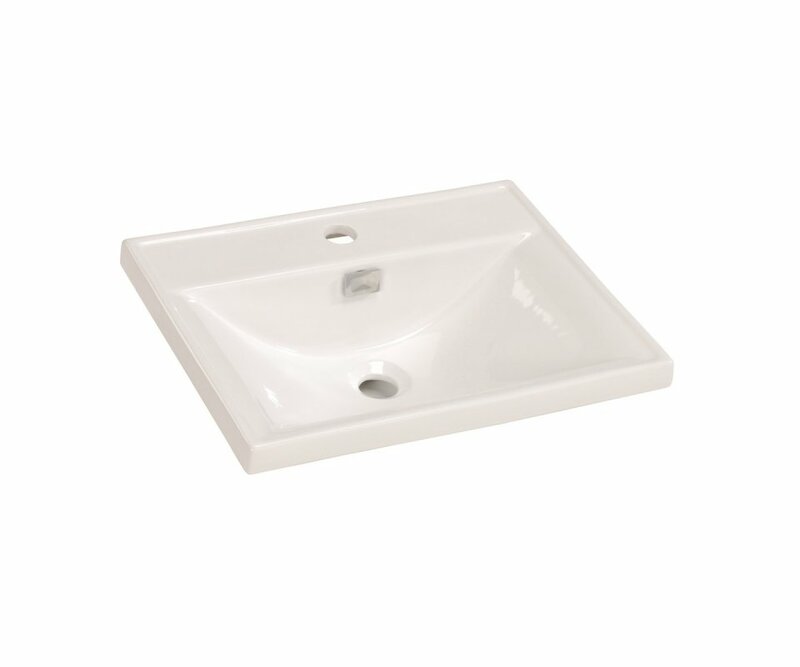 TOP-GRADE CONSTRUCTION: Manufactured from premium particleboard core, with heavy-duty hardware and drawer slides; won’t bow or split with normal daily use. The Figaro bathroom set includes a freestanding dresser-style cabinet on legs in smoke-gray, with door on one side enclosing shelves for your towels, bathroom supplies, and toiletries. 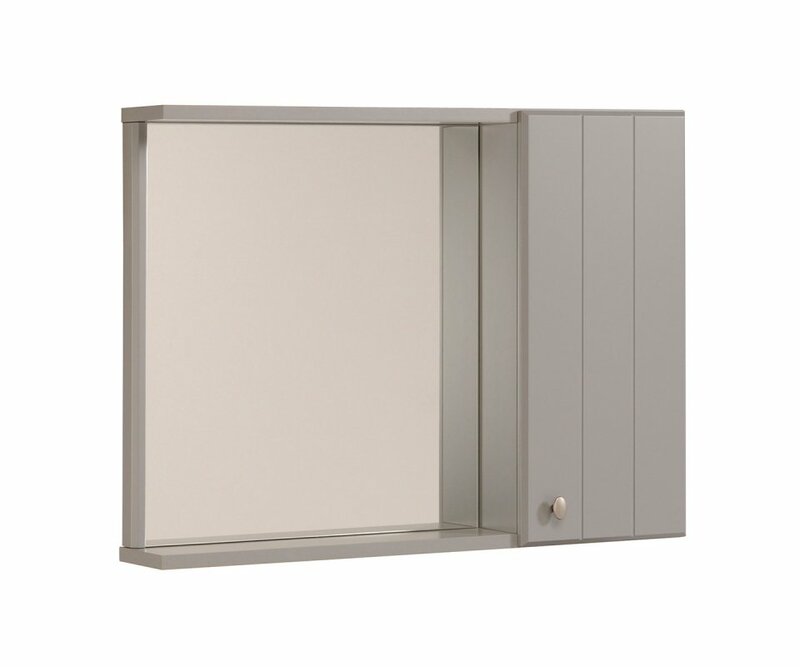 The other side provides two small drawers for organizing, and a small cabinet space. 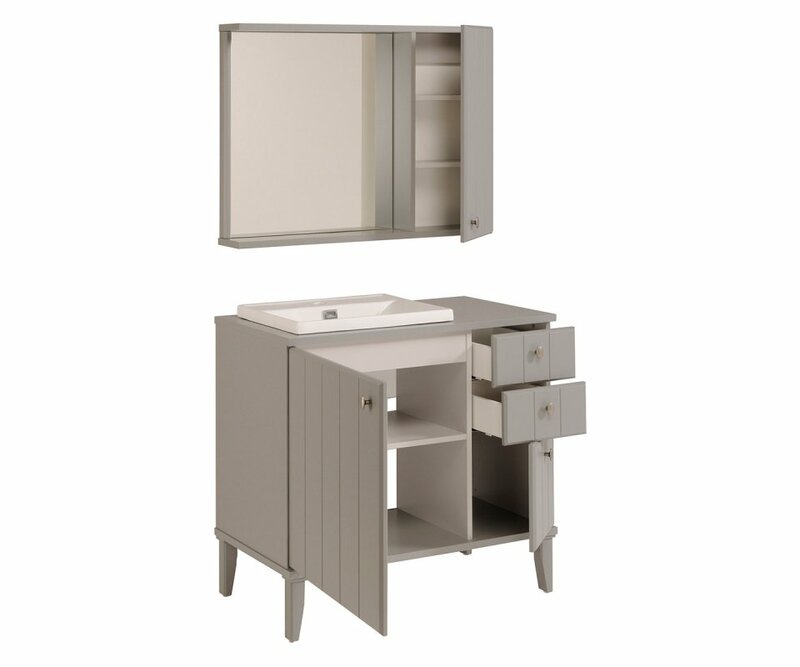 A white ceramic farmhouse style bathroom sink adds on-trend style and character to the cabinet. 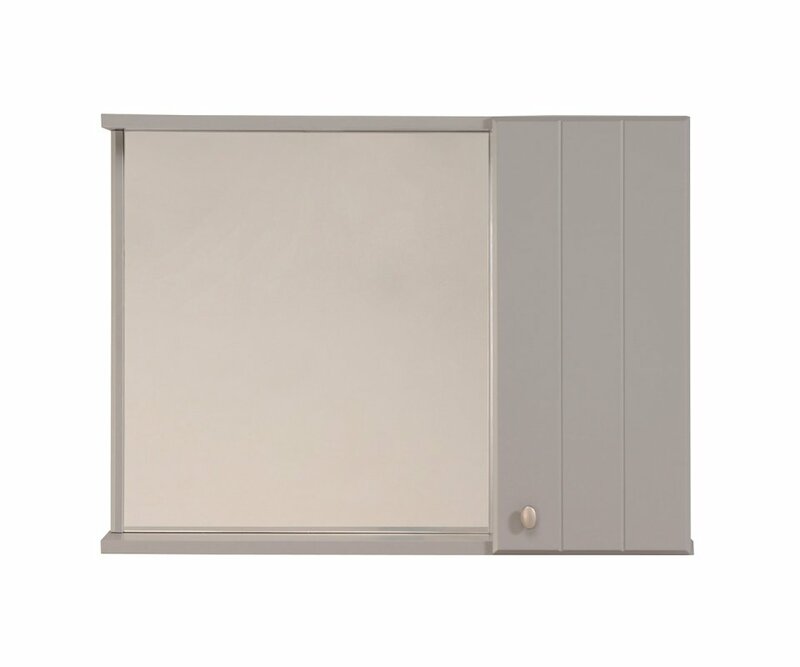 A wall-mountable matching gray cabinet has a mirror on one half, flanked by a narrow medicine cabinet on the other, as well as a small shelf for extra storage. 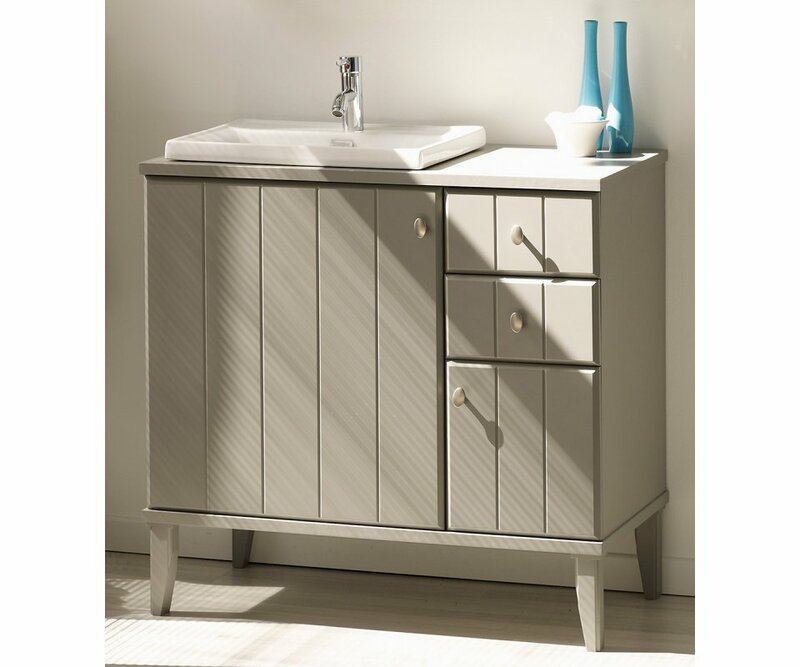 The Figaro cabinets are built to last, made from top quality particleboard core, with durable veneer finish that resists scratches, stains, and damage from water rings. 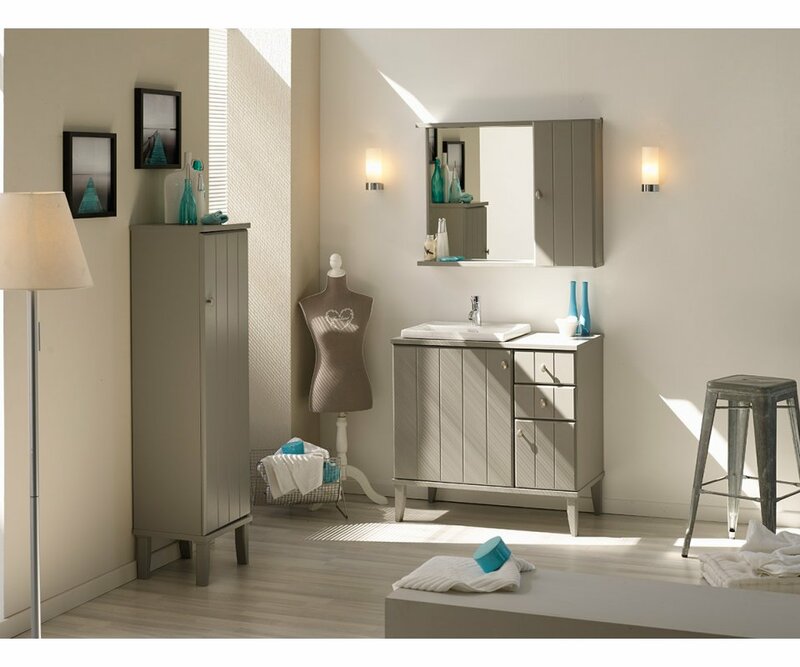 There is a place for everything you need to keep close at hand with this beautiful, and functional organized bathroom set!